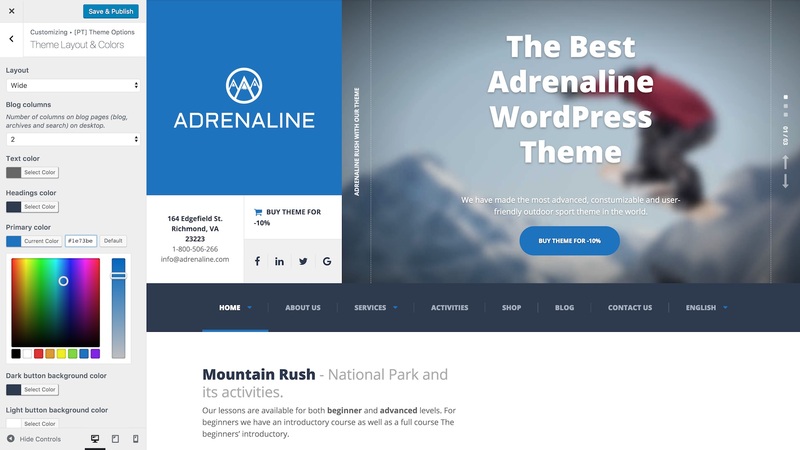 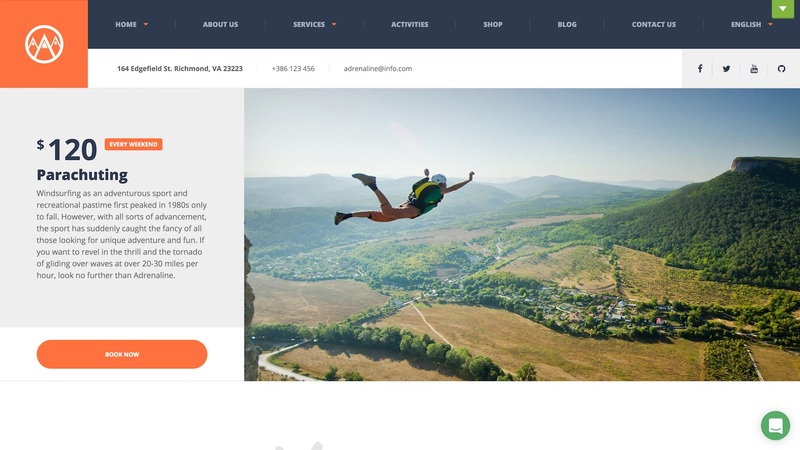 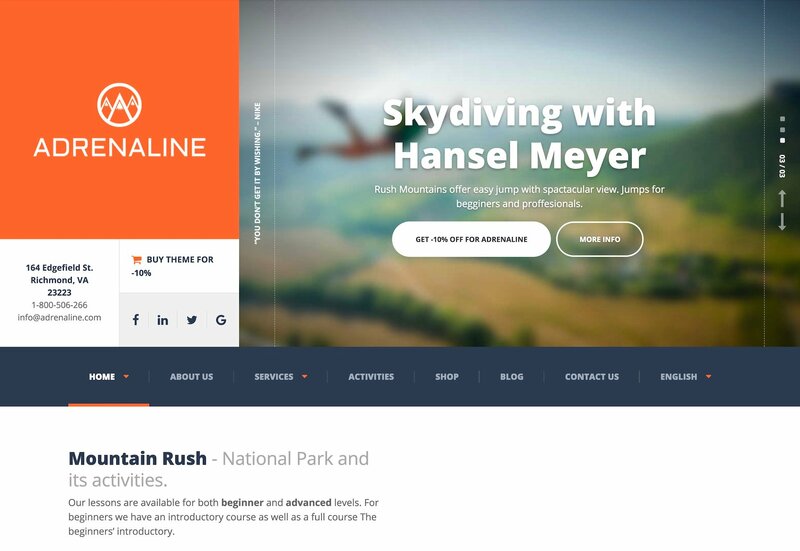 Adrenaline is a niche adventure WordPress Theme from ProteusThemes. 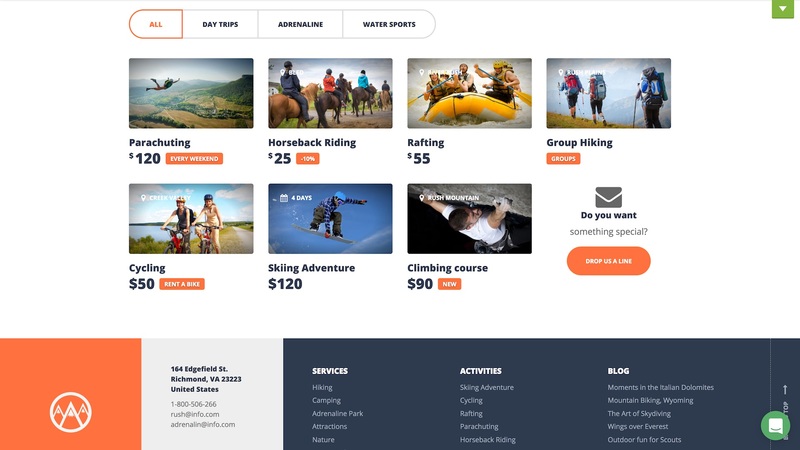 It is the perfect theme for businesses focused on adventure activities, sports & travel. 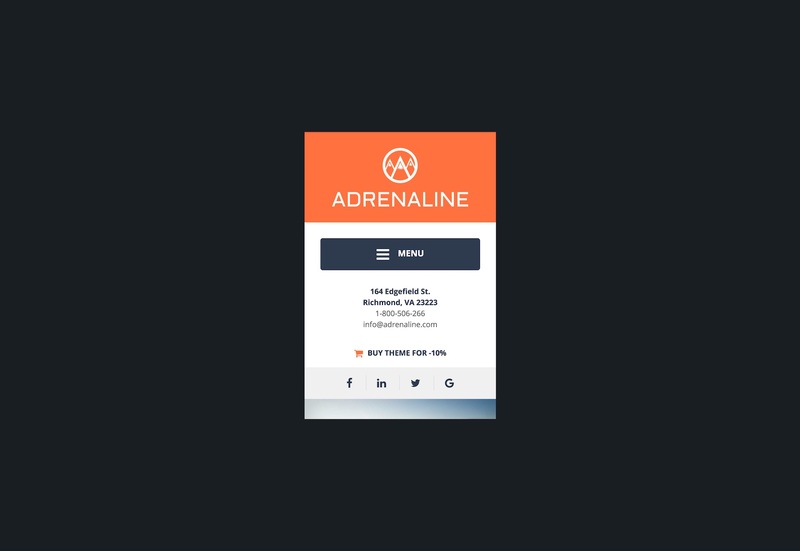 Adrenaline offers both wide and boxed layouts, with a mobile-friendly design that adjusts to all devices and resolutions dynamically. 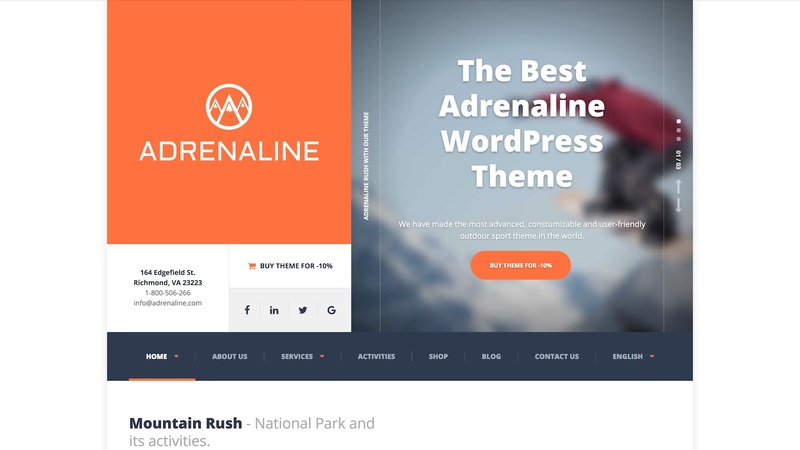 The WordPress Customizer features a variety of Adrenaline specific settings. 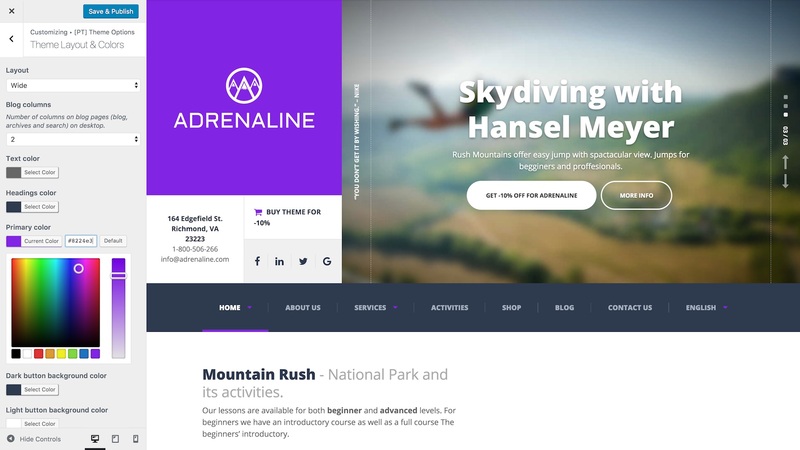 Upload a retina logo, adjust page header backgrounds and change colours to suit your brand's design look and feel. 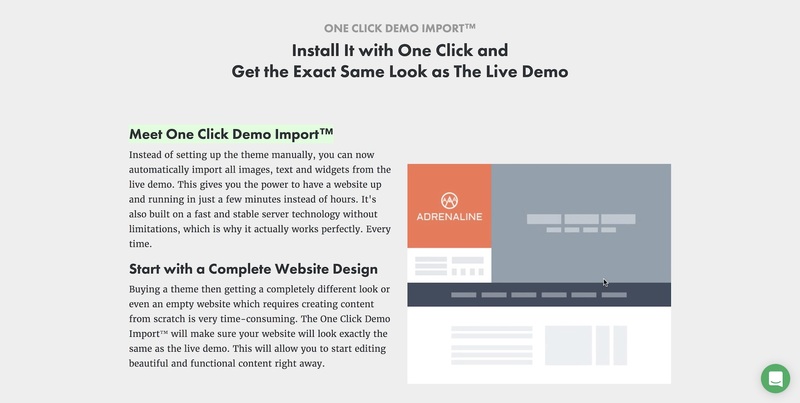 Adrenaline includes One-click Demo Import, giving you a head start on your content creation by importing all available content from the live demo. 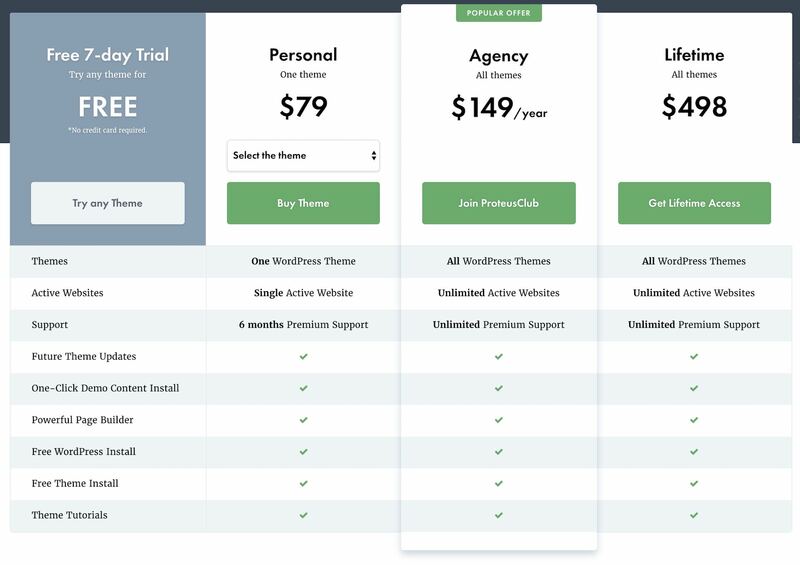 Simply replace the default content, with content of your own, and your good to go. 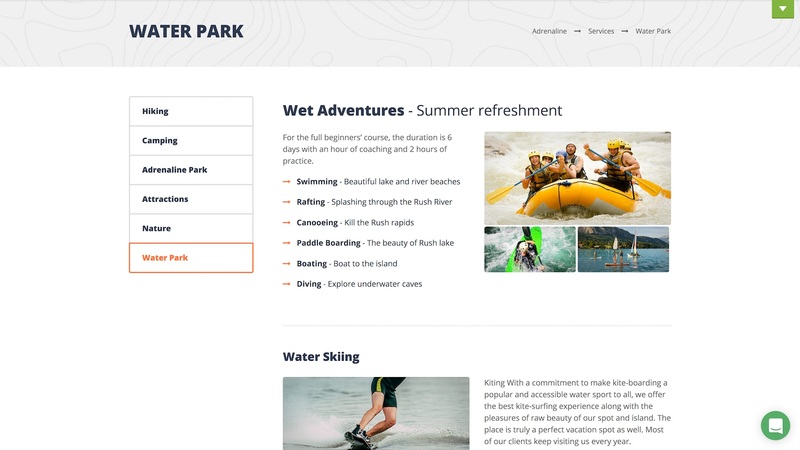 The demo content includes multiple services pages and an activities page with a grid layout filterable by category. 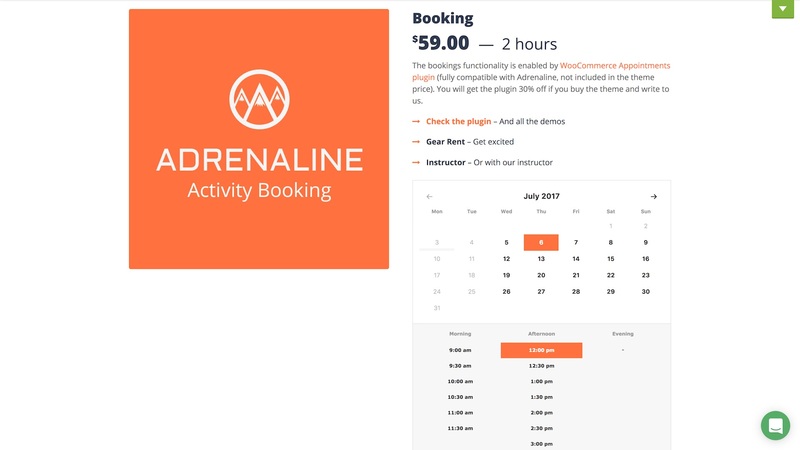 You can access specific activity details and make your booking using Woocommerce Appointment, which is fully compatible with Adrenaline but not included in the theme price. 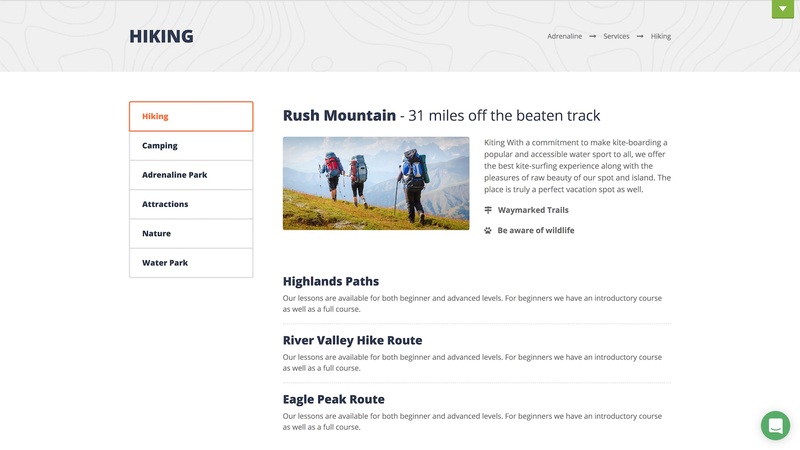 Each services page offers a unique layout, allowing you to choose the right design for your specific business needs. 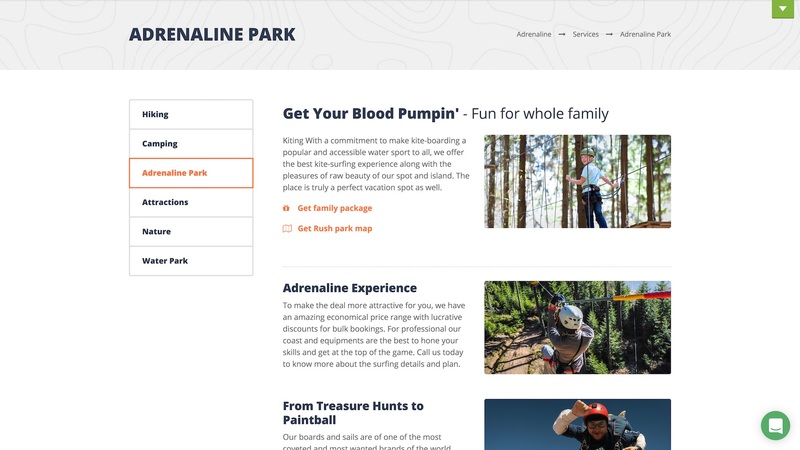 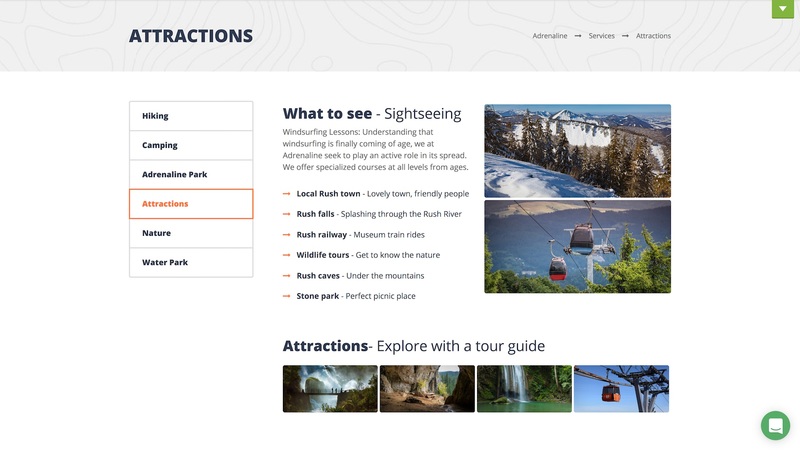 Each Adrenaline page is built using SiteOrigin Page Builder, offering an intuitive drag and drop interface for maximum control over your page layouts. 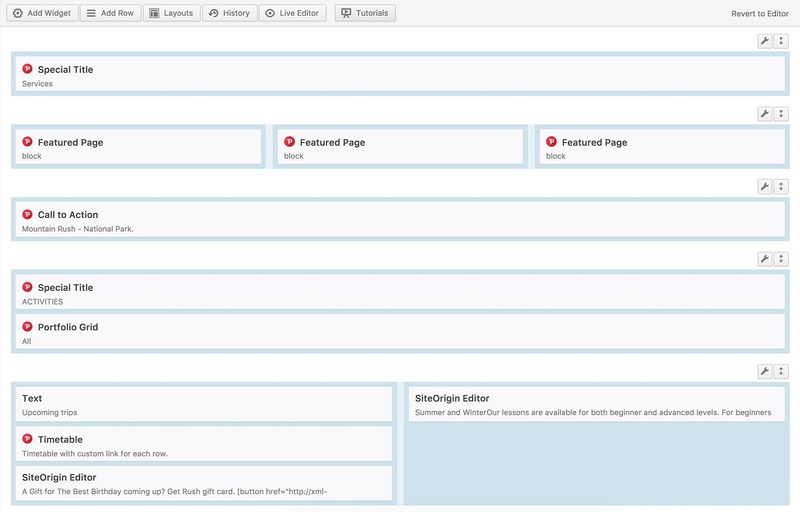 Adding rich content to your pages couldn't be simpler with more than 26 custom ProteusThemes widgets. 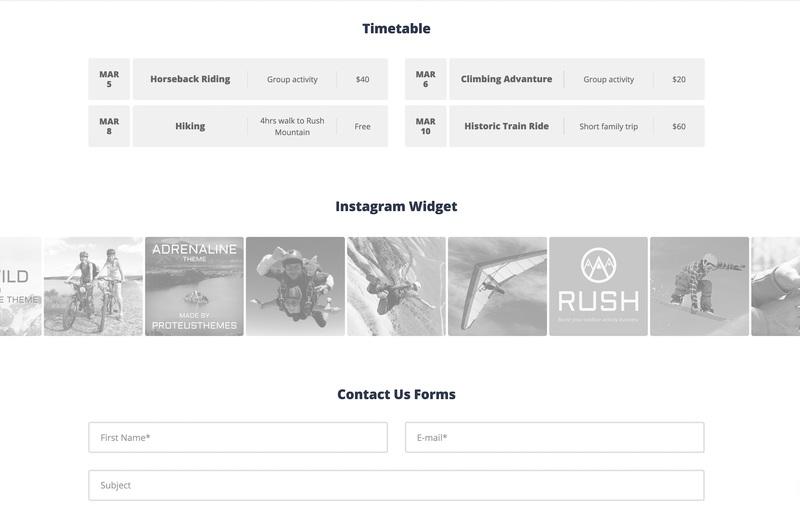 From opening times and pricing lists to weather widgets and timetables. 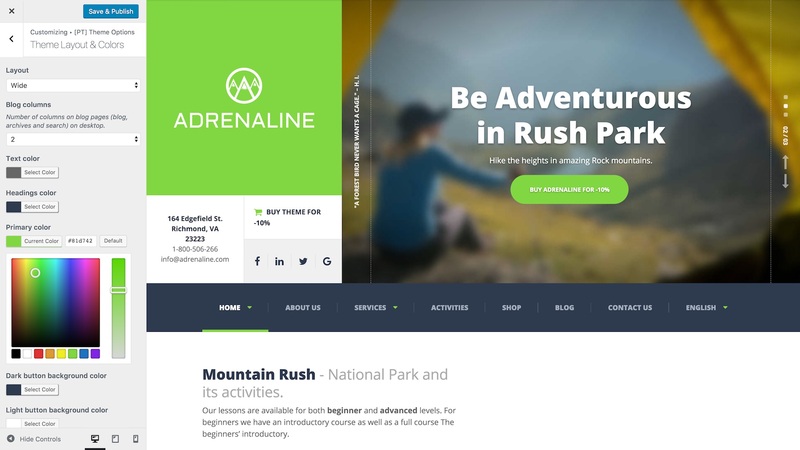 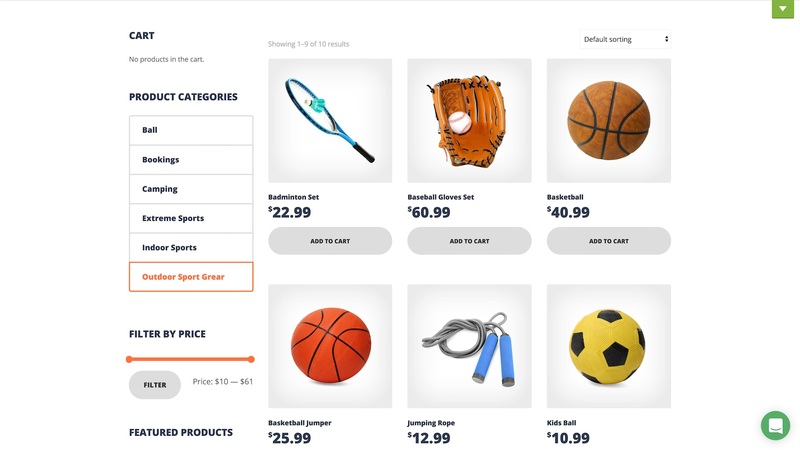 For businesses looking to jumpstart their online shopping platform, Adrenaline offers seamless Woocommerce integration for easy online store setup. 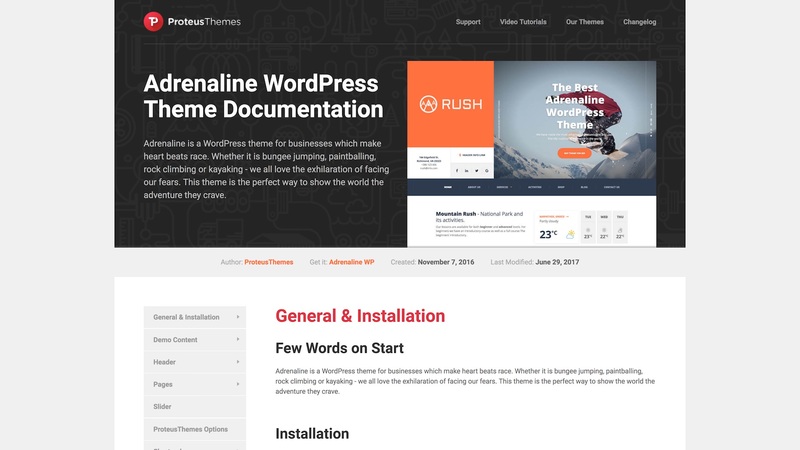 Adrenaline is well documented covering all aspects of the theme configuration and guiding you through the installation and demo import process. 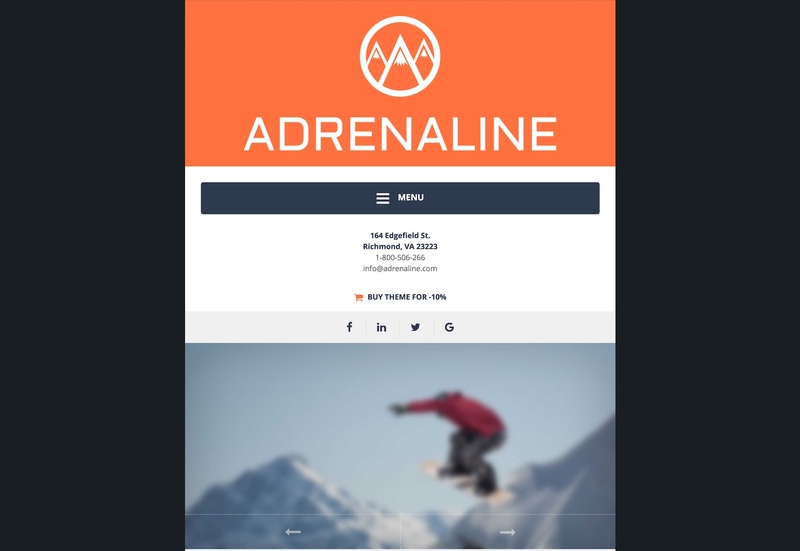 And that’s Adrenaline. 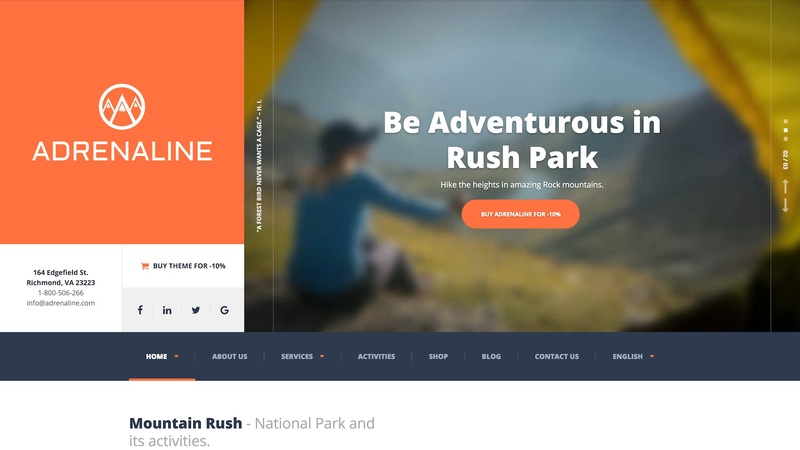 The perfect WordPress theme for adventure, sport & travel businesses looking to create a professional website.